Fall in love with seaside living in Nahant! Lovingly held in the same family for 6 generations, this is the first time this home is publicly for sale. Swim and kayak from this 4 BR, 2.5 BA Colonial that is only steps to Tudor Beach. Open floor plan, high ceilings, period details and hardwood floors. Owners have totally renovated from the bottom up, new studs with new electrical, heating system, plumbing, insulation, roof and vinyl siding for easy maintenance. Explore Nahant's Heritage Trail for hiking, bird watching or just soaking up the sun and natural beauty of this nature conserve. Easy access to Boston and Logan Airport too! Many more updates also; so be sure to schedule a showing today and make Nahant your new home! SHOWINGS BEGIN BY APPOINTMENT FRIDAY 3/18 - SUNDAY 3/20 PUBLIC OPEN HOUSE 12 - 1:30 - FIRST OFFER REVIEW MONDAY 3/21 At 3PM. 18 Emerald Rd, Nahant, MA 01908 (MLS# 71972966) is a Single Family property that was sold at $481,000 on June 17, 2016. Want to learn more about 18 Emerald Rd? 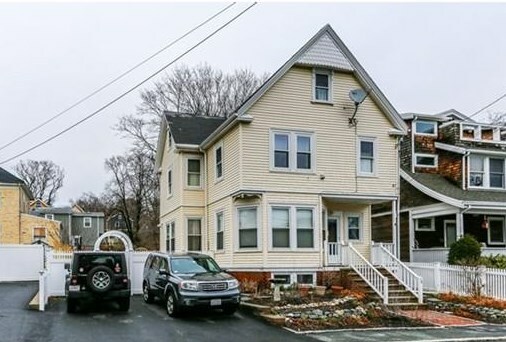 Do you have questions about finding other Single Family real estate for sale in Nahant? You can browse all Nahant real estate or contact a Coldwell Banker agent to request more information.